They contend with fire hazards and flammables, unsafe chemicals, high voltage equipment and even simply dodging heavy beams as they move across a warehouse. Even the most alert worker in an environment with the strictest health and safety parameters in place can have an accident. However, the consumption of alcohol and other perception altering substances heightens the risk of accidents and can even lead to injuries. 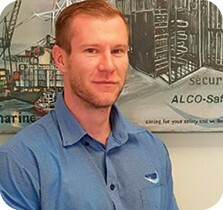 The reason most mining, metal and manufacturing industries adopt a zero tolerance approach to alcohol consumption and working under the influence, is that alcohol can make even the safest environment unsafe, for both the culprit and everyone else. It is the employer’s responsibility to ensure the safety of its workers, under the Health and Safety Work Act, ensuring sobriety is absolutely critical. Alcohol is known to impair judgement, negatively affect motor skills and concentration, and even inspire reckless behaviour in high enough quantities. Impaired vision or distance perception can cause a worker to misjudge a cut, a weld, or positioning of a beam. Impaired judgement may cause a worker to miscalculate chemical compounds and cause an explosion. Alcohol is synonymous with reckless behaviour; it’s mind altering and confidence boosting properties allow for people under the influence to erroneously believe they are more capable and functioning than they are in reality. A drunk worker may make decisions that they wouldn’t make sober, which could place the entire operation and workers at risk. Many organisations only consider the impact of alcohol consumption on the premises, and do not take into account the impact of alcohol consumption off premises. Workers who are habitual drinkers, whether at work or at home, are three times more likely to be absent from work than non-habitual drinkers, according to a study done by the International Labour Organisations (ILO). When production relies on a present workforce, absenteeism is undesirable at best, and can halt production entirely, at worst. The same study reports that substance dependencies are also a common cause of frequent illnesses, stating that employees with chemical dependencies claimed sick benefits three times more than other employees and made compensation claims five times more than other employees. Looking at the levels of absenteeism and sick leave incurred by people who may leave their drinking and substance abuse to non-working hours, it’s easy to see why this should still be a huge concern for steel and iron manufacturers. Beyond the repercussions of these substances still remaining in an employee’s system when they arrive at work, and the safety hazards they pose, their absence can also drive down profits through slowed productivity and through paying salaries for work not done. Due to the high risks associated with working in the Steel & Iron industry, it’s safe to say that most manufacturers have very rigorous health and safety policies, which include regular testing for substances under a zero-tolerance policy. However, testing alone doesn’t resolve the problems of high absenteeism or sick leave, nor does it curb the risk of consuming alcohol when already on site. So what more can manufacturers do? Training and education, made available in an accessible, open and easily understandable manner, is imperative to underpin the success of any alcohol and substance policy. Employees who understand the long and short term effects of alcohol and other substances on their career, their lives, their families and their own health are more likely to put aside the bottle. However, employees need to be made aware in a manner that is inclusive and informative, without them feeling threatened, derided or accused. 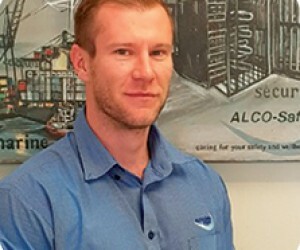 In fact, a positive technique is to show employees how they can enjoy a few drinks on the weekend or in the evening without it impacting their ability to work, supporting it with facts about alcohol limits, what constitutes “a drink” and how long alcohol takes to leave the system. Employees who continue to have a substance or alcohol problem can be offered rehabilitation assistance, counselling and discreet support to help them overcome the problem. This is often more effective than merely carrying out disciplinary measures, and can help an organisation to retain the talents of these individuals. In a sector as high risk as the Steel & Iron industry, these companies need to address the problem of alcohol and substance abuse from all angles, reducing risk and helping to maintain a happy, capable and productive workforce.